Save the date cards are popularly used to let friends and family know about upcoming weddings, but you can also use these to announce other significant events like anniversaries, baby showers, grad balls, or grand opening ceremonies. 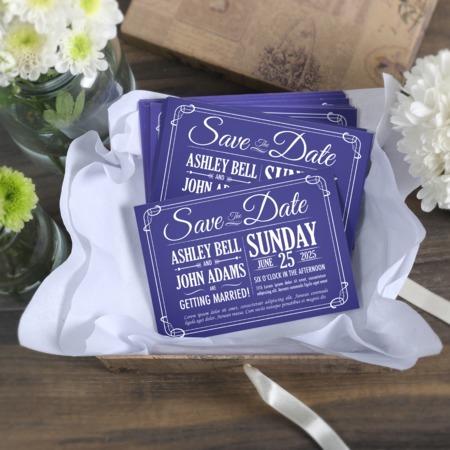 No matter how formal or informal it is, these cards are a classy way to ask people to keep that special date free! UPrinting's save the date cards come in four card stocks from uncoated to high gloss, as well as on magnet and label stock. The four popular sizes come with matching envelopes. For added style, you may also have your cards die-cut to have rounded corners.